Welcome to my resources library, a huge list of my go to tools. I've been blogging for 2 years and I love every minute of it. I thought it was time that I passed on some of my favourite resources to you that I use for my blog, affiliate marketing, graphics, art and journaling. ​For my Art Resources click here. This page uses affiliate links, but they are all for products that I use myself. I would never endorse anything that I didn't personally use. For my hosting I use Weebly, most bloggers tell you that you can only be successful with Wordpress and this just isn't true. I love Weebly, it's so easy to use with it's drag and drop editor, you only need to know html for the extras. Create a Weebly blog now. If you're not doing affiliate marketing yet then why not? I'm proud to be a member of the AWIN affiliate scheme, they offer great rewards for bloggers. I am currently signed up in partnership with the following brands: Etsy UK, Paperchase, CraftStash, The Range, Create and Craft and many other top brands. I also have just started using Skimlinks, a great way to automatically turn links on your site in to affiliate links with only one code. 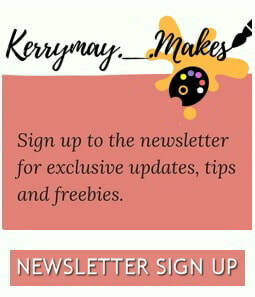 ​For my newsletter I can recommend Mailchimp. I used to get my email sign ups through a feed, but there were little click throughs. Mailchimp allows me to be a lot more creative with my newsletters. ​If you are a designer or blogger looking for design elements and fonts that you can use to sell or for blog design then have a look at Creative Market. They have gorgeous kits of vectors and image elements that you use. They also have loads of FREE downloads weekly and you can sign up to be an affiliate too. ​Pinterest is my number 1 traffic referral, in fact 90% of it. I get great results from manual pinning and from using Tailwind Tribes (<--- click to join and get $15 off or get free access to Tailwind Tribes). They have massively helped me to get readers to my blog and to increase my traffic. Read my Pinterest Tips for Bloggers and increase your traffic too. ​The She Approach has amazing courses for creative bloggers. ​The Pinterest ebook is a particular favourite of mine and has massively helped in boosting my traffic - grab it here. The She Approach Shop or sign up for her FREE affiliate marketing course and see your traffic increase instantly. If you want to get serious about selling products on your blog or selling ebooks and guides, then the tool to have is SendOwl. I am yet to start selling actual ebooks... for now, but I do plan on doing so in the future. Thank you to Jo-Elle over at Life Over Laundry for her huge help in getting me started in affiliate marketing and in growing my blog and to Claire over at Heart Handmade and Clarity Avenue for her huge support and helping me to grow my blog on Pinterest, go check out their fabulous blog and planning resources. I do not store personal details if you use the contact me form unless I need to reply to you. You are not entered into any newsletter by using this form (for the newsletter see the form below this). Read my full Privacy/Disclosures here. Check out Anna's Patreon Page and become a Patron, with access to Anna's collage sheets, tutorials and process videos. Watch the video for more information.